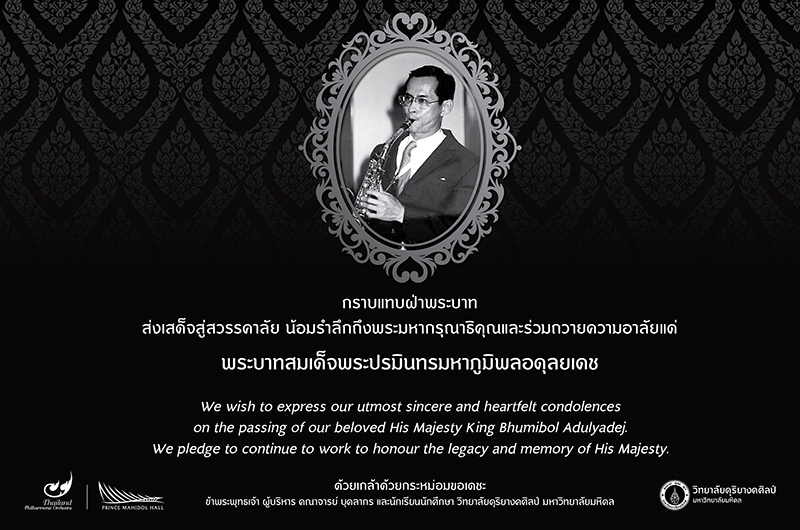 TPO is pleased to join with the Thailand International Composition Festival for its 14th year. The Thailand International Composition Festival (TICF) was established with the goal of improving the standard of Composition Education in Thailand and Southeast Asia. Founded in 2005 by the award-winning Thai composer Narong Prangcharoen, TICF has been the growing focus for Contemporary Music in Thailand since its inception. Composers and performers from all over the world have convened to provide major contributions to the festival. TICF could be referred as a gulf of Asian-Western Contemporary Music which benefits for performer, music educator and music lover as well. Korean American conductor Shinik Hahm will lead Thailand Philharmonic Orchestra (TPO) during the “14th Thailand International Composition Festival (TICF) 2018” at Mahidol University’s Prince Mahidol Hall, Salaya campus, on August 11 at 4pm. The concert will feature orchestral works by composers participating as guests at the TICF, American Robert Beaser, Narong Prangcharoen, Arthur Gottschalk, and Dequin Wen. Joining the TPO as soloist is Rocco Parisi, one of Italy’s most brilliant clarinet viruosi and a specialist in contemporary compositions. Winner of several international competitions, including T.I.M. Rome, the Orpheus Prize in Antwerpen, and Concorso Internazionale di Stresa, Mr. Parisi has appeared as soloist in Germany, Turkey, Portugal, China, France, Switzerland, Spain, and the USA. Shinik Hahm is an active opera conductor who has led productions with the Silesian National Opera in Poland and has collaborated with leading musicians including Salvatore Accardo, Emanuel Ax, Joshua Bell, Yefim Bronfman and has recorded with the Polish National Radio Symphony Orchestra for Vision and Britstar. He is the conductor of the Yale Philharmonia. The Thailand International Composition Festival was established with the goal of improving the standard of Composition Education in Thailand and Southeast Asia. Founded in 2005 by the award-winning Thai composer Narong Prangcharoen, TICF has been the growing focus for Contemporary Music in Thailand since its inception.